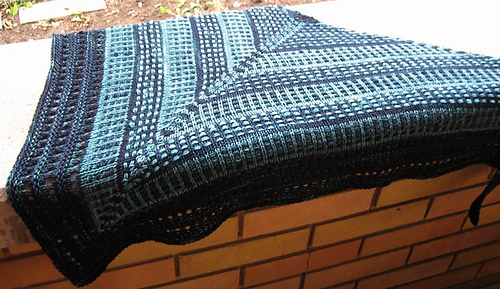 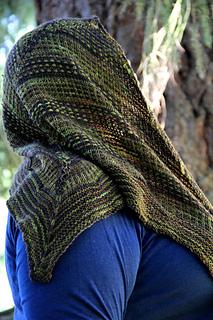 This shawl is really something different! 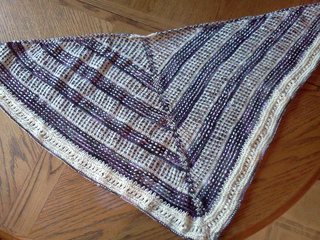 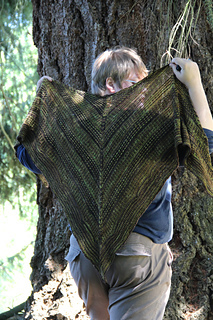 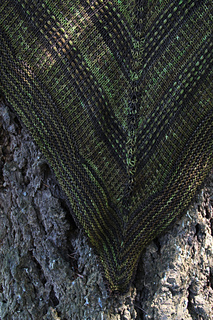 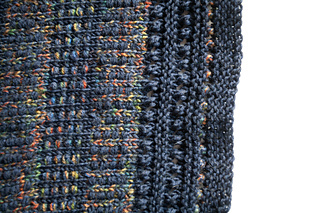 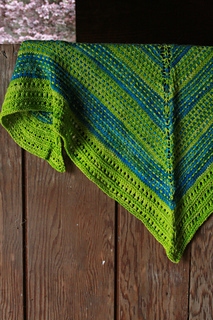 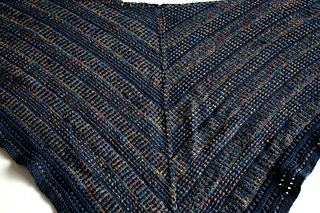 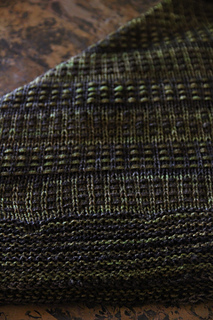 Completely knit but looking woven this shawl uses slipped stitches to create this stunning effect. 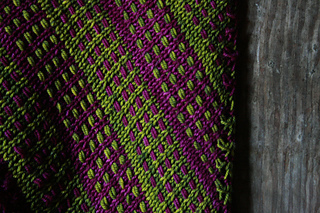 Weave It! 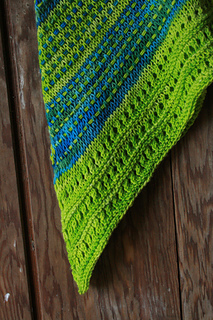 uses a technique that is fairly easy and would be well suited for the advanced beginner but interesting enough for the advanced knitter. 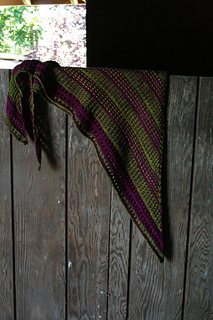 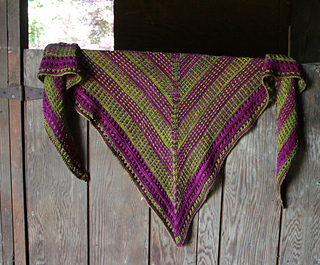 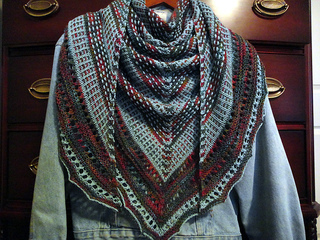 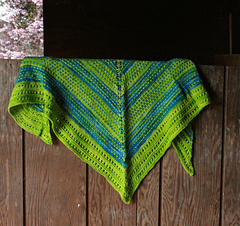 This shawl has a wonderful fabric and is a fun way to combine color in a unique way.